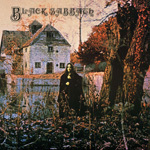 In this section of the web site, you can view information on all the official albums by Black Sabbath. You can either pick a section by the list below, or via the menus at the top of the page. Please note that I do not make any attempt to catalog all the various bootlegs, and unofficial albums out there (there’s just too many of them). If it’s not listed here, then it’s not an “official, band sponsored album”. 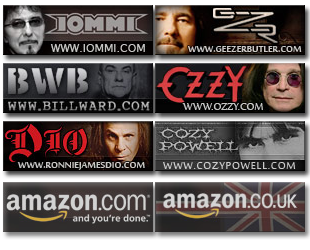 I also cover information for selected solo bands and projects, such as the solo projects of all four main Black Sabbath members, and a couple of others that have been in the band over the years. But I’m not trying to cover all the solo projects and relevant bands, the site would be radically larger. There are lyrics for all the Black Sabbath studio albums – I will not be doing lyrics for the others. You can also purchase any of the albums you see by clicking on the relevant link in the “Buy These Tunes” section of each discography page. I attempt to cover most releases of the albums where I can. However, with some of these albums being out for over 40 years now, I cannot link to every version there has ever been. I generally cover the most recent, and a few important releases from the past. These links almost all go to either Amazon.com (US) or Amazon.co.uk (UK). Please purchase these CD’s through the links on my site (or the sound samples links on the sides). 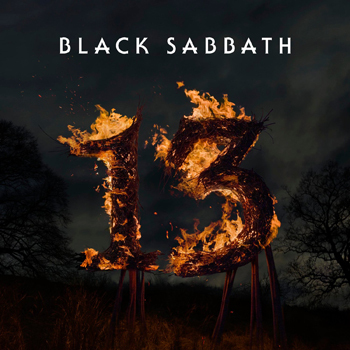 Remember, this site is NOT funded by Black Sabbath, it’s a fan endeavour, and your ordering the albums and songs through the links on my site help ensure the site will continue to exist going forward.